The craftsman style frames are inspired by the Arts and Crafts Movement which emphasized handcrafted production as opposed to the industrialization the predominated the late 19th and early 20th centuries. 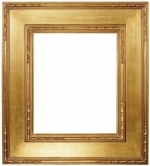 Because craftsman frames are so classic, they tends to go well with a variety of home décor styles and suits many different types of art without taking away from the piece. 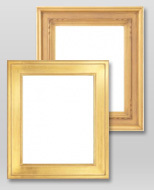 Browse Art Gallery Frames' craftsman style frames below – we know you'll find one that’s perfect for you. Having trouble finding the right size? Check out our custom sizing options.